It was certainly surprising to see Xfinity Mobile, the tiny, Comcast-owned mobile virtual network operator, beat all big four US carriers to the Android 9.0 punch for Samsung’s Galaxy S9 and S9+ earlier this week, but after Verizon followed suit yesterday, we’re not shocked in the least to hear Sprint is also joining the party. The “Now Network”, which may or may not merge with T-Mobile soon, has yet to officially confirm the two Pie-flavored updates or reveal its very own carrier-specific changelogs. But SamMobile and a number of excited Redditors are reporting over-the-air software download notifications have started coming in. These will wildly vary in size from as little as 230MB to as much as 1.5GB depending on whether or not you’ve participated in the public beta testing program of the Galaxy S9 and Galaxy S9 Plus. A wide-scale rollout is to be expected in the next few hours, but if you’re the impatient kind or simply feel lucky today, it’s probably a good idea to manually check for an update from time to time. All you need to do is head over to your handset’s Settings menu, then tap on System Updates, and finally, Check for system updates. You also need to remember to charge your battery first and foremost, of course, as well as make sure you have a strong Wi-Fi connection active if your Sprint plan includes any sort of limits or data caps. 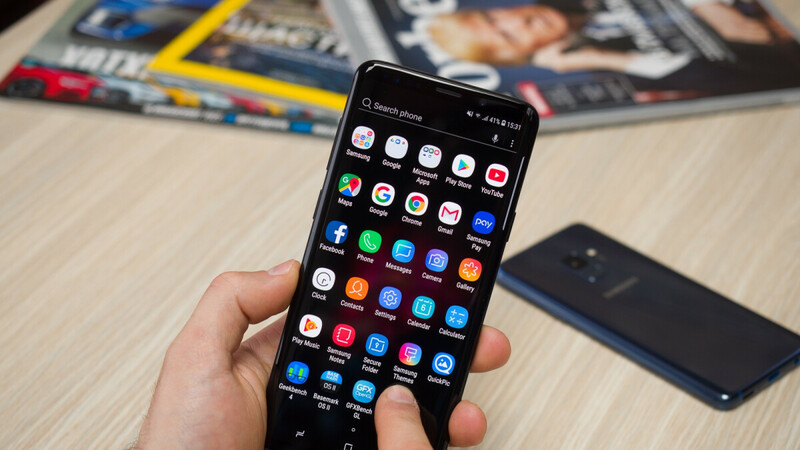 Regardless of their specific carrier-locked variants, Galaxy S9 and S9+ users are looking at standard Android 9.0 Pie enhancements and add-ons like Adaptive Battery, Adaptive Brightness, App Actions, Slices, and more intuitive navigation, as well as proprietary One UI tweaks including Night Mode functionality and a major focus on one-handed operation.